What happens when Splatoon 2 has a one night stand with futuristic PlayStation racer WipEout? 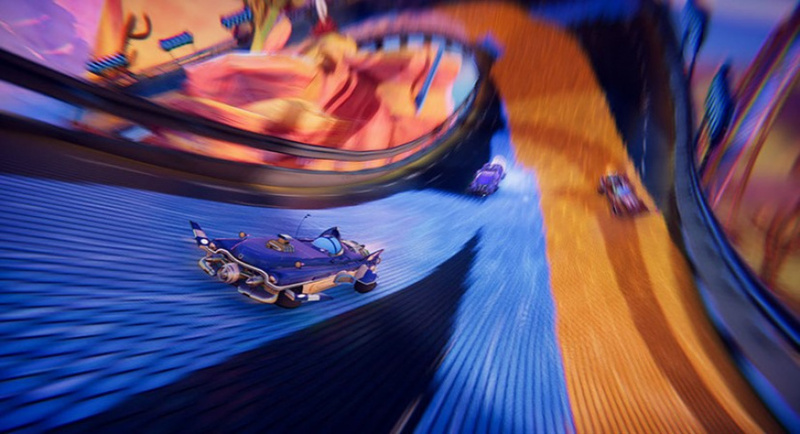 Well, you’d probably end up with something remarkably close to Trailblazers, a new colourful racer that looks to combine a track-painting mechanic and a key focus on co-operative racing. The aim of the game is team up and paint each track with your team’s colour – gliding over your own colour enables you to boost and speed round the track faster so there’s a real benefit to working as a team to use colour slipstreams to take that chequered flag in a speedy one-two. Tracks are generated dynamically so no two races are the same, and you can also play online against up to six other players (including via split-screen) or locally with up to three other racers.